Fabric: Jacquard Nylon with PVC Backing 1680D. Size: (w)33cm x (h)49cm x(d)19cm, 30.7 Litres Capacity. 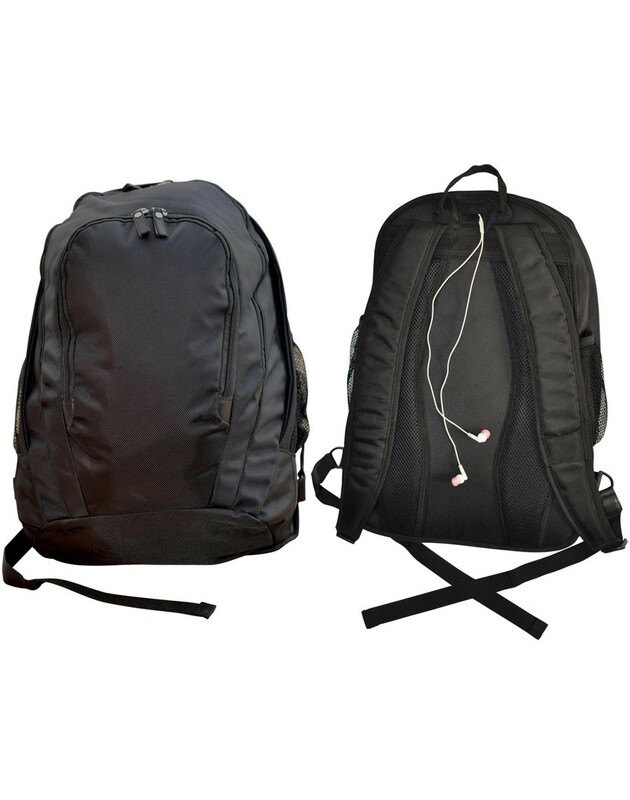 Features: Double zippered large main compartment. 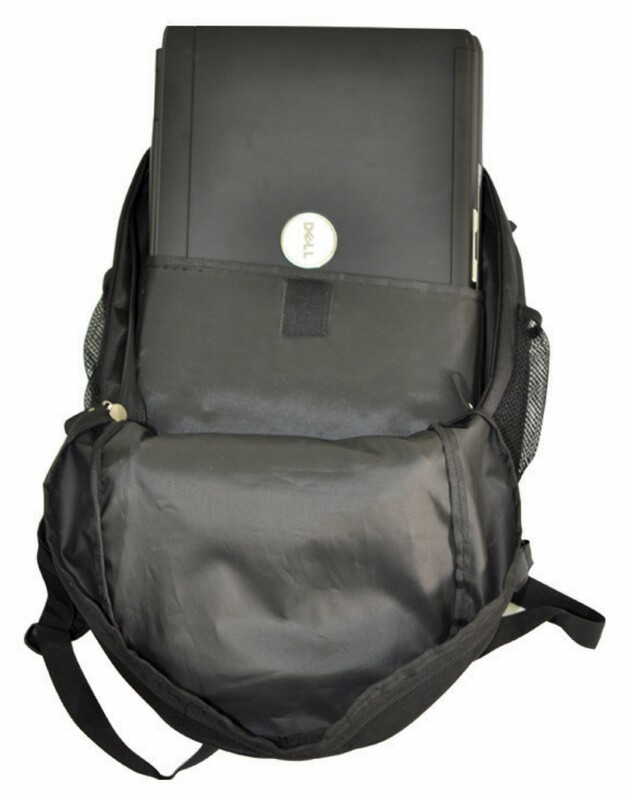 Padded laptop pocket with velcro closure in the large main compartment. Single zippered phone /CD /MP3 player pocket secured with leather edging on top of main compartment for documents. 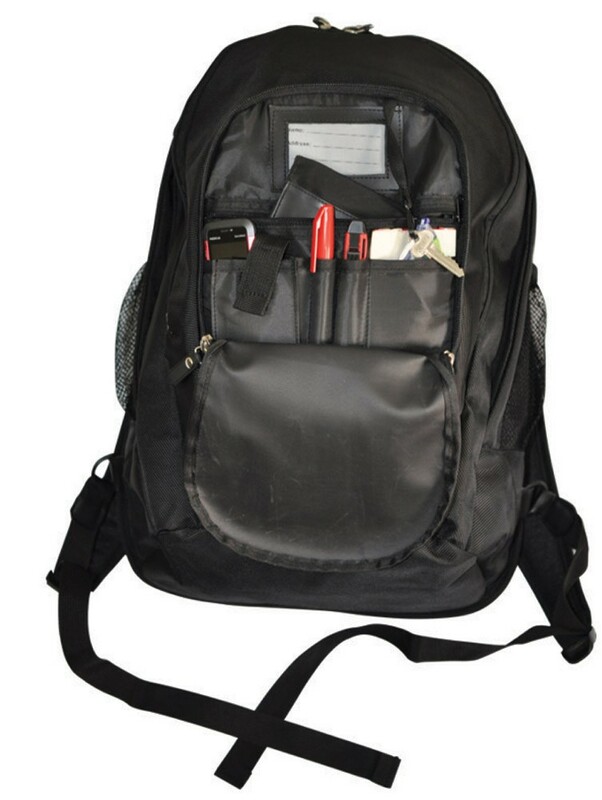 Double zippered front compartment contains phone pocket, elastic pen holder, card holder, ID windw with screen mesh, key clip holder, single zippered pocket for wallet. Elastic mesh slip pockets on sides. Padded air mesh back panels and straps.